Well now that October's here, I think it's high time we reviewed these seasonally-appropriate, Halloween-themed snacks: ghosts and bats. Albino bats, apparently. In fact, the "bats" in this bag are nothing more than ghosts with wings. Both shapes represent fittingly ethereal characters—light, airy, and barely there. And that's kind of how I'd describe the taste of these potato-based snacks: extremely subtle. They're like baked potato chips or crisps, but without any added flavors. "Salt" can be found on the ingredients list, but these are among the least salty chips I've ever had. It's not necessarily a bad thing. Especially around Halloween, when candy and chocolate are everywhere, a break from the fat and calories can be quite welcome. 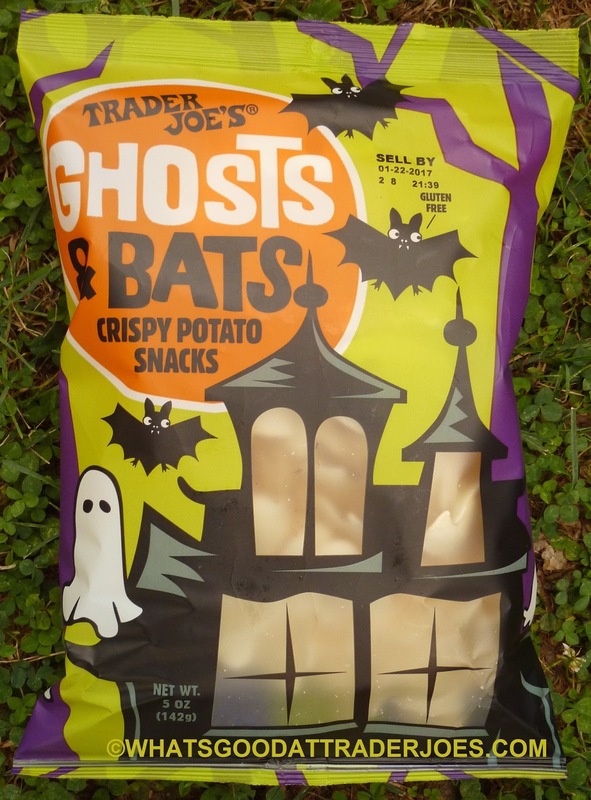 On the other hand, if I had to pick one type of low-calorie chip to eat for the rest of my life, Ghosts & Bats would definitely not be my first choice. I like chips with a little seasoning at least—maybe some barbecue flavor or sour cream taste. That's not to say you couldn't dress these up a bit yourself. In fact, Sonia said they remind her of "duros de harina" or "duritos," a Mexican wheat-based snack, often served spritzed with lemon or lime juice and chili powder. So we tried these chips with a few drops of lemon and a dash of chili, and sure enough, it made them significantly more interesting. The theme suddenly changed from Halloween to Dia de los Muertos—but they're basically the same holiday, minus the part where Mexican folk leave meals in the cemetery for their dearly departed family members. 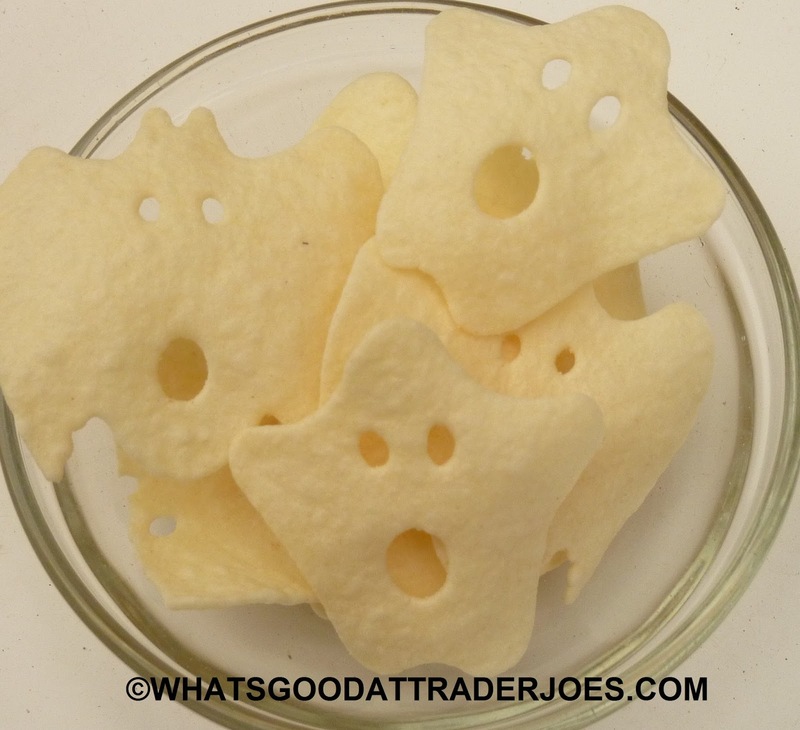 The crispiness of these ghostly chips is pleasant. There's a delicate crunch to them that's far more interesting than their flavor, in my opinion. They are prone to staleness, however. We kept our bag shut with a rubber band we had laying around in the kitchen, and after just a few days, the chips were noticeably more...styrofoam-like, for lack of a better word. In summary, these chips are fun and crispy, but they lack a certain something in the flavor department. Three stars from me. Three and a half from Sonia. They taste like the Veggie Chips of the same color, in my opinion. My kids consumed the entire bag before we made it home, so staleness wasn't an issue for us. Yes, they are very similar to veggie chips. 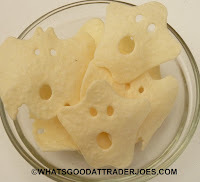 I thought they were cute and fun for a halloween party or something but mine also went stale quickly and as is the ho-hum flavor and texture won't make this a repeat purchase- just didn't hit that crunchy salty note that i'm looking for.